Moving parts, burly knives, stout blades: they have their place. But in the heat of the moment, when everything is on the line, basic is better. 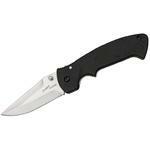 That's the conviction upon which the Scrub tactical fixed blade is built. Don't get caught without one. As he burns the midnight oil in his crowded garage in LaFayette, Alabama, designer Corey Brewer remembers what it's all about. His mantra: "if you want to break out and do something that makes you happy then you damn well can." 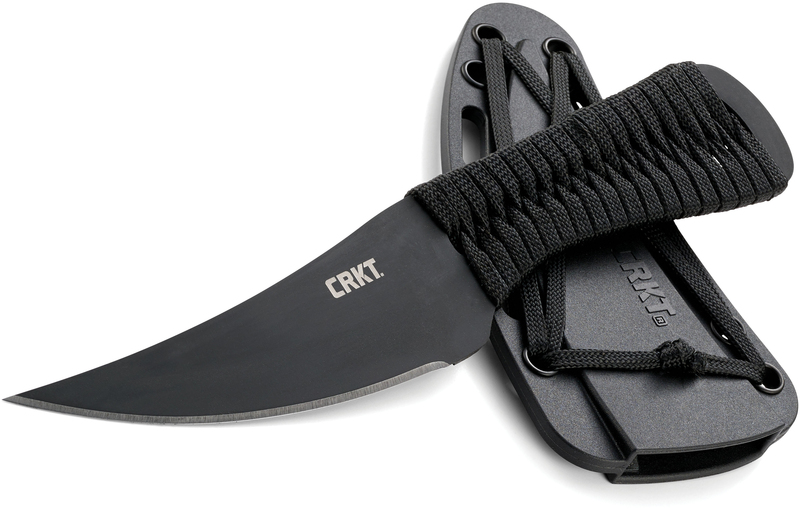 His first CRKT design, the Scrub is all the proof we need that Corey's conviction is dead on; he's on a fast track to asserting himself as a serious designer. 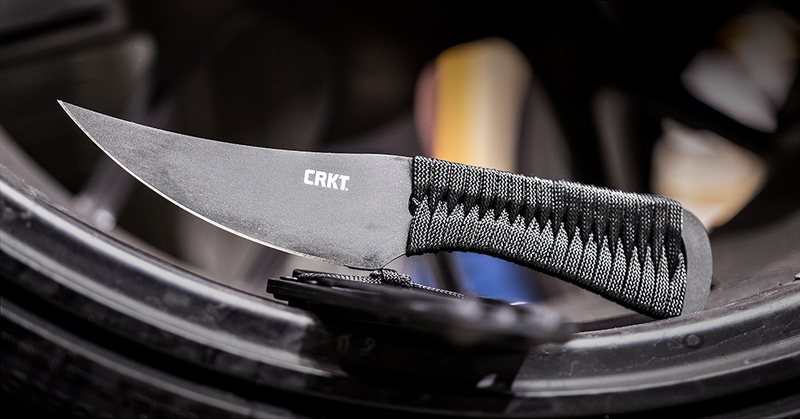 This lightweight, compact tactical fixed blade is a paradox: it's both remarkably simple and packed full of thoughtful details. 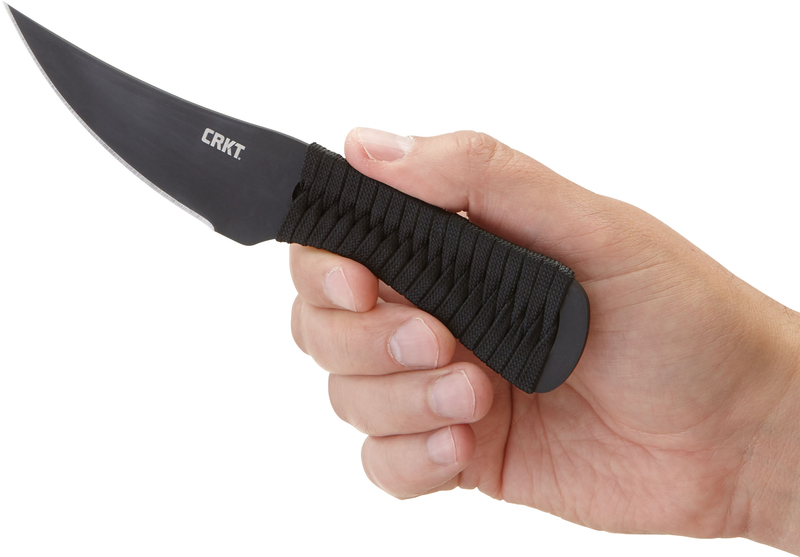 The 4" blade is carefully modeled after a traditional Persian pesh-kabz, renowned for both its strength and utility. 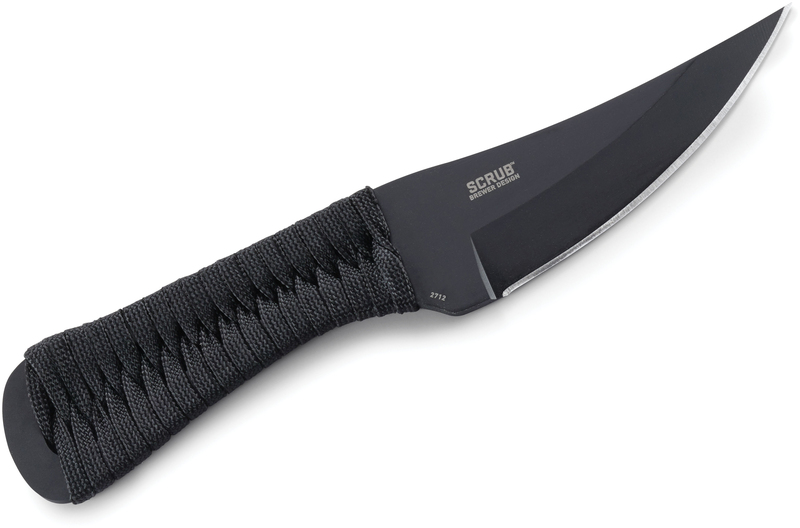 He's brought both the shapely SK5 carbon steel blade and handles definitively into the future with a magnesium phosphate coating for extreme corrosion resistance. 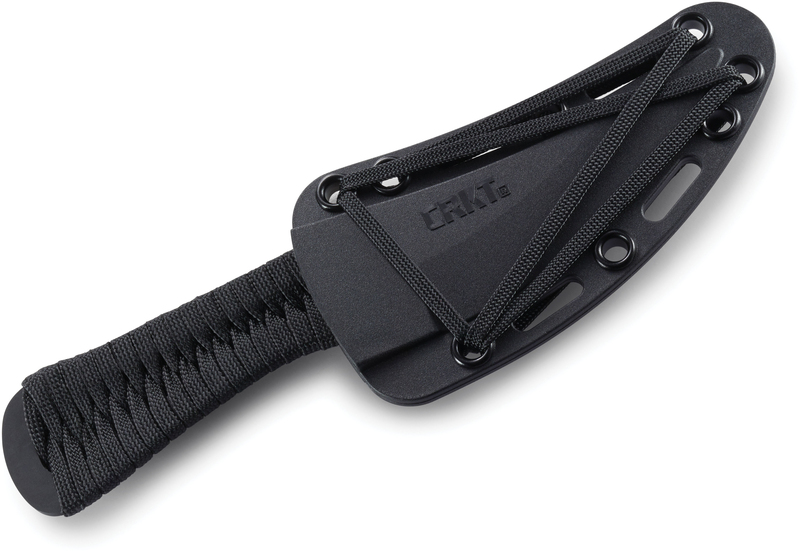 For heightened utility options—from duty belt to covert carry—he's wrapped both the handles and parts of the glass-reinforced nylon sheath with paracord. The Scrub: damn simple, damn near perfect. I like this knife so much that I bought 3 of them. I use one of them for a neck knife. The other two I use for side carry and behind the back carry. 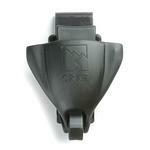 The kydex sheath that comes with the Scrub is Tek-Loc compatible. I have a friend who works in a cutlery store and he ask about the Scrub and where I got it. He thought the knife was very nice and said he will probably be ordering the Scrub to sell in his store. 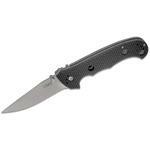 Hey, I wanted to share "Columbia River CRKT 2712 Corey Brewer Scrub Fixed 3.939 inch Black SK5 Carbon Blade, Cord Wrapped Handle, GRN Sheath" with you from KnifeCenter.